A tractor pulling a train is a bit unusual. A cross-eyed kitten is a tad unusual. Glowing dinoflagellates in Belgium, ugly fruit, weird jack-o’-lanterns, surprised kids’ facial expressions, awkward lighting or ill-timed photos, family portraits (almost all of them) are unusual. This week for Flickr Friday we are looking for something beautiful, yet ‘Unusual’. 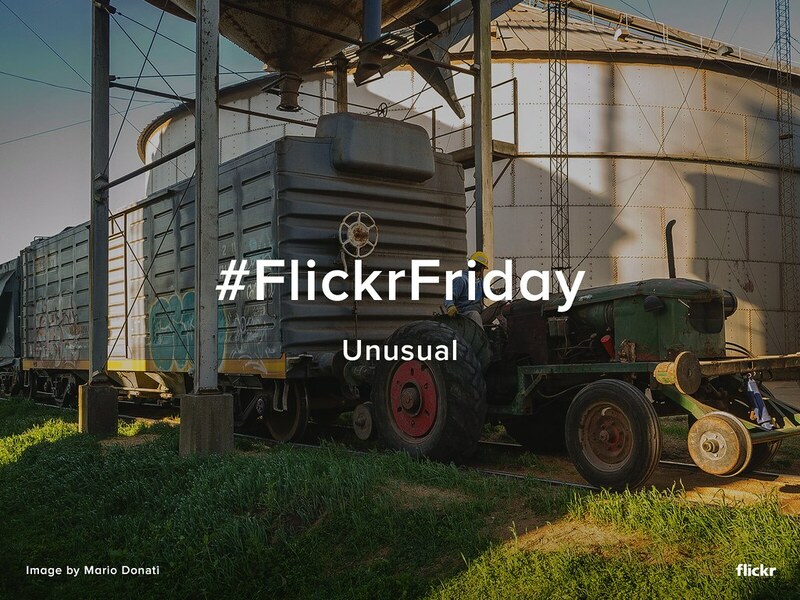 Be sure to tag your photo #Unusual and submit it to the Flickr Friday group pool by Thursday afternoon next week! We’ll publish a selection of our favorites next week on the Flickr Blog and in a Flickr Gallery.